The Community Foundation of Greater Fort Wayne manages numerous agency endowments for local charities. Building an agency endowment provides a source of income that will benefit your organization and mission forever. The Community Foundation will match 20% of any new gift to an eligible agency endowment that has agreed to comply with our spending policy. Donations are subject to a maximum of $10,000 in matching funds for each endowed agency and scholarship fund per calendar year. Agencies who wish to establish an agency endowment fund are organizations who desire to set aside money that will be protected and grow over the long-term, providing a source of lasting support for future needs. An agency can establish a fund for as little as $10,000. At present, nearly 100 nonprofit organizations have established endowment funds and have taken advantage of the services the Community Foundation can provide. Agency Endowments are established by donors who wish to specify a particular charitable agency or organization to receive the proceeds from their fund. Agency Endowments are also opened by nonprofit organizations that wish to establish a fund which is kept in perpetuity to provide an ongoing stream of revenue generated by the investment of principal. Why do charitable organizations establish Agency Endowment Funds at the Community Foundation? The goal of any endowment is for it to grow. After establishing an agency endowment with us, there are many opportunities to attract new gifts into your fund, generate matching contributions from the Community Foundation, and promote your fund to your donors to attract estate gifts. The Community Foundation mails “Gifts From the Heart” to households in our community. It provides an easy way for donors to give year-end gifts to agencies they hold dear. They can indicate on the form the agencies to which they wish to donate and how much, then they just write one check to the Community Foundation or visit our Donate Now section. We do the rest. Charitable Gift Annuities (CGAs) are an excellent way individuals who care about your organization can give to your organization while obtaining income payments for the remainder of the donor’s life. 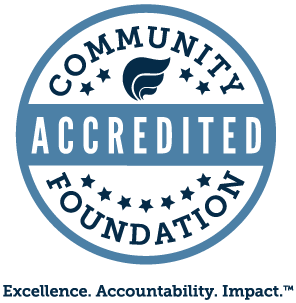 The Community Foundation will administer these CGAs at no cost to your agency, provided the agency has an endowment fund with us. Another way to increase an agency endowment fund is to take advantage of the matching gift opportunity. The Community Foundation will match 20% of any new gift to agency endowment funds, subject to a maximum of $10,000 in matching funds for each endowed agency fund per calendar year for those agency endowments that follow the Community Foundation’s spending policy. By taking a smaller payout than you are allowed through your agency endowment fund agreement spending policy, your fund will increase its fund balance at an expediential rate. Promoting estate gifts to your agency endowment fund in your publications or gift solicitation letters will help remind your donors that even though they may be giving for operations today, they can ensure a future for your agency through a gift to your endowment fund. Planned giving help is available from the Community Foundation at no cost to the agency. What is the full list of local organizations that have an Agency Endowment with the Community Foundation? ACRES – Dedicated to preserving natural areas since 1960. ACRES owns and manages over 4,500 acres of nature areas within 69 nature preserves. Aging and In-home Services of Northeast Indiana – Committed to helping older adults who need assistance to maintain independence, mobility, and dignity. We provide vital services to meet the needs of seniors who want to remain active in their community. Allen County CASA Coalition – To advocate for the best interest of the children who have been victims of child abuse and/or neglect; to advocate that all of our CASA children have a safe, secure, and permanent living environment; to provide professional level volunteerism. Allen County Courthouse Preservation Trust – Exists for charitable and educational purposes to preserve and promote the extraordinary artistic features of the Allen County Courthouse. Allen County Education Partnership/Ann D. Ballinger Endowment Fund – Allen County Education Partnership is dedicated to improving academic achievements for youth through business, community, and education partnerships. Allen County – Fort Wayne Historical Society – To serve present and future generations by collecting, preserving and sharing artifacts, documents and images that describe the people, places and events that define Fort Wayne and Allen County history. Allen County Jail Chaplaincy – To bring comfort, encouragement, and hope by ministering the redemptive love of God to the jail inmates and, where appropriate, to jail staff. The goals of this ministry are to challenge inmates to be reconciled with God and to prepare them to live productive lives. Allen County Parks and Recreation – To establish and to manage a permanent park system incorporating conservation, education, outdoor values, and nature preservation, and to provide recreation opportunities for the people of Allen County within this structure. Allen County Public Library Foundation – The mission of the Allen County Public Library Foundation is to enhance the margin of excellence that has made the Allen County Public Library preeminent in the state and nation by raising funds for acquisitions, innovation, and special projects beyond the capacity of the normal operating budget. Allen County SPCA – The Allen County SPCA will promote the prevention of cruelty to animals by providing a safe haven for animals, an effective and comprehensive adoption program, education and outreach programs for the community and deep and broad membership and volunteer programs. American Guild of Organists/Irene S. Ator Music Fund – Founded in 1896 as both an educational and service organization, the American Guild of Organists sets and maintains high musical standards and promotes the understanding and appreciation of all aspects of organ and choral music. Animal Care and Control/Helen Adams – Helping People….Helping Animals. Guided by the humane ethic and livability interests within our neighborhoods the mission of Fort Wayne Animal Care and Control is to ensure public health and safety as well as prevent pet overpopulation, animal neglect, and animal cruelty through education, rescue, and law enforcement. Artlink – To showcase work of the highest quality by emerging and mid-career artists and provide educational programs for the community. Associated Churches Foundation – One Body in Jesus Christ, seeding greater Christian Unity through ministries of love, justice, and mercy! Audiences Unlimited – Enriches the quality of life of residents in health/residential care facilities and in subsidized independent living by providing cultural resources that refresh and inspire mind, body and spirit. AWS Foundation – To help children and adults with enduring intellectual, developmental and physical disabilities live as independently as possible, be included in the community and function at their highest potential. Big Brothers Big Sisters of Northeast Indiana – We engage and serve our communities in the betterment of youth by providing professional support to children in need matched with caring adults, using a series of role model and mentoring programs aimed at showing children how far they can go and helping them find their way. Boy Scouts of America – Anthony Wayne Council – The mission of the Boy Scouts of America is to prepare young people to make ethical and moral choices over their lifetimes by instilling in them the values of the Scout Oath and Law. Boys & Girls Club of Fort Wayne – To work toward helping the youth of all backgrounds, with special concern for those from disadvantaged circumstances, develop the qualities needed to become responsible citizens and leaders. Brightpoint – Brightpoint helps communities, families, and individuals remove the causes and conditions of poverty. Camp Watcha-Wanna-Do – To provide opportunities and support for those surviving cancer and their families. Cancer Services of Allen County (d/b/a/ Cancer Services of Northeast Indiana) – A diagnosis of cancer is a life-altering event. The mission of Cancer Services of Allen County Inc. is to provide non-medical resources, education, and support to individuals diagnosed with cancer, to their families, and to the community. Our vision is to make this life-threatening event a life-affirming event. We seek to foster a sense of hope for a new day, and gratitude for each new day given. Carriage House – The Carriage House assists adults with serious mental illness to live and work in the community independently and with dignity. This assistance is provided in an Accredited Clubhouse. Community Harvest Food Bank – Seeks to alleviate hunger in northeast Indiana through the full use of donated food and other resources. Community Transportation Network (CTN) – The mission of Community Transportation Network is to provide dependable and efficient transportation so no one is left behind. Cornerstone Youth Center – With the inspiration and guidance of caring Christian mentors, we will provide opportunities for healthy growth and development of all youth. Crossroad Child & Family Services – Creates promising futures for children in difficult circumstances, by providing therapy, education, and family support services. Dave Hefner International Exchange Fund – Building cultural understanding through student exchange programs. Early Childhood Alliance – The mission of Early Childhood Alliance is building better futures for young children by promoting and providing quality early childhood education and services for families, early childhood professionals, and the community. Easter Seals ARC of Northeast Indiana – To provide support and encourage fulfillment of dreams for people with diverse abilities and needs. Embassy Theatre Foundation – The purpose of the Embassy Theatre Foundation Inc., as chartered in 1972, is to restore, preserve, and operate Indiana’s largest historic theatre; to provide and present quality artistic programs for the cultural enrichment of Greater Fort Wayne and its surrounding area; to provide a facility and performance hall for use by other presenters and civic, arts educational, and service-oriented organizations; and to maintain an image reflecting excellence, innovation, and leadership. Environmental Education Association of Indiana – To work cooperatively to promote opportunities that will educate, motivate, and inspire the citizens of Indiana to conserve natural resources and meet the needs of our society while maintaining a healthy environment now and in the future. Erin’s House for Grieving Children – Provides support services for children, teens and their families who have suffered the death of a loved one. Foellinger-Freimann Botanical Conservatory – To provide a unique botanical venue for quality public education and enjoyment. Fort Wayne Allen County Economic Development Alliance – To train, prepare and inspire individuals to positively impact the community through meaningful engagement. Fort Wayne Ballet – To inspire and nurture an appreciation for the art of dance through educational excellence, artistic achievement, performance experiences and outreach activities in the community and beyond. Fort Wayne Children’s Choir – To provide a choral program for children from all ethnic, economic, racial, and religious backgrounds that exemplifies artistic and educational excellence. The FWCC endeavors by providing opportunities to experience the unique beauty of professionally trained young voices. 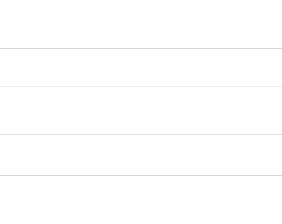 Fort Wayne Cinema Center – A not-for-profit cultural organization, is dedicated to bringing the best of independent, foreign, documentary, classic, and specialty films that otherwise might not be shown in northeast Indiana, through a variety of films, special events, educational programs, and community outreach. Fort Wayne Firefighters Museum – Educate the community regarding the history of fire fighting and the prevention of fires. Fort Wayne Habitat for Humanity – Builds simple, decent affordable homes in partnership with those in need of adequate shelter. We are an affiliate of Habitat for Humanity International and are dedicated to eliminating substandard housing worldwide. Fort Wayne Public Television (PBS 39) – The mission of Fort Wayne Public Television (WFWA PBS39) is to provide high quality telecommunications services which enhance the quality of life in the communities we serve through educational, informational, cultural and entertaining programs and services. The Fort Wayne Jewish Federation – Works to perpetuate and sustain Jewish life through programs and services to the Jewish community and takes whatever steps necessary to ensure a thriving Jewish community in the future. Fort Wayne Medical Society Foundation – Committed to the goals of the American Medical Association, the purpose of which is the preservation of the art and science of medicine, the personal development of member physicians and the protection and betterment of the public health. The Fort Wayne Medical Society is committed to the principles of physician autonomy and self-determination in the practice of medicine. The Fort Wayne Medical Society is committed to fulfilling the role of an active cohesive leader of the health care resources of our community by maintaining and assuring the quality, availability and the responsible economic utilization of our health care resources. The Fort Wayne Medical Society is committed to active involvement in the decision-making process regarding medical, social, political, and economic issues affecting patients and physicians within hospital and all various inpatient and outpatient settings. Fort Wayne Museum of Art – The Fort Wayne Museum of Art will collect, preserve, and interpret American and related art to engage audiences. Our Values: Believing that art is a meaningful part of our lives, we value: inclusiveness, education, dialogue, and stewardship. Our Vision: To be among the ten best nationally accredited museums of our size, serving the array of constituencies in our community. Fort Wayne Parks and Recreation Department – To enhance the quality of life in Fort Wayne by providing positive opportunities for leisure time and by being stewards of our parklands, facilities, public trees, and other resources entrusted to our care. Fort Wayne Philharmonic Orchestra – To provide Fort Wayne and surrounding communities with high quality musical experiences by presenting live performances and life-long music education programs thereby enriching the lives of those served. Fort Wayne Railroad Historical Society (FWRHS) – A 501(c)(3) Not For Profit Educational-Historic Corporation dedicated to the preservation, restoration, and operation of the era of steam in the Midwest. Fort Wayne Rescue Mission Ministries Foundation – To provide, through the power of Jesus Christ, a home for the homeless, food for the hungry, and a hope for their future. Fort Wayne Sister Cities International/Chapman Exchange Students – A non-profit, 501(c) organization dedicated to advancing international understanding through person-to-person diplomacy. The organization believes global cooperation is best achieved through the initiatives of citizens at the local level. FWSCI initiates exchanges of students, teachers, artists, government officials, public service workers, musicians, the medical profession, and others, and their counterparts in Fort Wayne’s sister cities of Takaoka, Japan; Gera, Germany; and Plock, Poland. Fort Wayne Trails – To act as a community partner and advocate with our municipal partners in the development of a connected, multipurpose system of trails in Allen County, Indiana. Fort Wayne Urban League – To enable urban residents, as well as others, to secure economic self-reliance, parity, power and civil rights. Fort Wayne Women’s Bureau/Jean Ford Memorial – To promote equity and opportunity for all women. Fort Wayne Youtheatre/Sarah Shroyer Smith – A nonprofit, community-centered organization dedicated to the dramatic arts. Our mission is to provide children with diverse backgrounds the opportunity to explore and expand their creative talents and aspirations, to entertain, to share and foster a love of and full appreciation of the theatre in order to enrich their lives through the theatrical experience. Fort Wayne Zoological Society Inc. (Children’s Zoo) – To help people develop a better appreciation for animals, to encourage family fun in a natural setting, to help save the world’s wild animals and wild places. Friends of The Lincoln Collection of Indiana – The Friends of The Lincoln Collection of Indiana Inc. organization exists exclusively for charitable and educational purposes to provide financial support to The Lincoln Collection in its mission to interpret and preserve the history and legacy of Abraham Lincoln through research, preservation, exhibitory, and education. German Heritage Society – German Cultural and educational advancement. Girl Scouts of Northern Indiana Michiana – To build girls of courage, confidence, and character, who make the world a better place. Goodwill Industries of Northeast Indiana – Changes lives by providing opportunities for people to build independence. Harlan Christian Youth Center – To reach the many children in our area who need emotional support and guidance to mature into loving and caring adults who will become good parents and an asset to the community and to their congregation. Headwaters Counseling – Exists to provide quality education, counseling, therapeutic services and consultation to individuals, children, families, and communities, empowering them to make positive life choices. Heartland Sings – A vibrant community is a singing community. Singing gives access to self, voice to the spirit, and unity in community. The Heartland Sings gives access to the benefits of singing. On the forefront of choral music in Northeast Indiana, Heartland Sings represents the best in choral music performance, serves as a proactive resource for choral music education, advocates for the choral arts, and acts as a catalyst for encouraging all citizens to bring song into their lives. Heartland Sings is changing lives through song. Historic Fort Wayne (Old Fort) – To establish the Old Fort as an historic education center for the Northeast Indiana area focusing on the eras from the Native American Culture to the Civil War. H.O.P.E. for Animals – To eliminate the preventable euthanasia of companion animals and community cats through high-quality, low-cost spay/neuter and wellness services, by supporting rescue, and promoting responsible pet ownership. Junior League of Fort Wayne – An organization of women committed to promoting voluntarism, to developing the potential of women, and to improving the community through the effective action and leadership of trained volunteers. Its purpose is exclusively educational and charitable. League for the Blind & Disabled – To provide and promote opportunities that empower people with disabilities to achieve their potential. The Literacy Alliance – Strives to end illiteracy in the community by teaching adults through learning centers, literacy programs, and tutoring services that empower individuals to succeed at work, at home, and in the community. Little River Wetlands Project – To restore and protect wetlands in the watershed of the Little River southwest of Fort Wayne, Indiana, and to offer educational opportunities that encourage individuals to be good stewards of wetlands and other natural ecosystems. Lutheran Social Services of Indiana – To express the love of Jesus Christ for all people through services that empower individuals to move towards social, emotional and spiritual wholeness. Martin Luther King Montessori School – To provide quality care and education that fosters the child’s natural ability to learn while promoting self confidence, social/cognitive development and independence. We uphold this mission by providing services to families who may not otherwise afford the benefits of quality early childhood education. Matthew 25 Health and Dental Clinic – Inspired by the Gospel to provide free primary healthcare services to uninsured, low-income residents of Allen County. McMillen Center for Health Education – To provide vital and effective, preventative health education that promotes physical, emotional, and social well-being. Mental Health America in Allen County – Ensure that all individuals facing mental health challenges are supported and gain access to the resources they need. Mustard Seed Furniture Bank of Fort Wayne – Is to provide household furnishings to families and individuals as they rebuild their lives after suffering disaster, personal tragedy or other misfortunes. North Side High School Alumni Association – Exists to conduct activities exclusively for charitable and educational purposes related to the betterment and support of North Side High School. Northeast Indiana Diversity Library – The mission of the Northeast Indiana Diversity Library is to serve the gay, lesbian, bisexual, transgender community and its allies in the Fort Wayne and the surrounding area by acquiring, preserving and providing access to materials that embody the culture and history of gay, lesbian, bisexual and transgender persons, with a focus on items of local or regional interest whenever possible. Through sound management of resources our hopes are that the collection will contain the knowledge to dispel homophobia, encourage the exploration of diversity and promote personal discovery. Northeast Indiana Public Radio (WBNI-WBOI) – To engage our community with content that enriches the human experience. Positive Resource Connections – To help improve the quality of life for men, women, and children with HIV and AIDS, to educate the community in order to decrease the incidence of HIV and STD infection, and to increase the public’s understanding of and compassionate response to HIV and AIDS. Questa Foundation for Education – Questa Foundation for Education assists young people with financial need to attain a college education, graduate with less debt, and become contributing members of northeast Indiana’s workforce. Ronald McDonald House Charities of Northeastern Indiana – Lifts children and families to a better tomorrow by supporting the Ronald McDonald House at Parkview Hospital which provides a home-away-from-home for families of seriously ill children and by making grants to community programs that help children and families. St. Louis Besancon Academy – The vision is to provide a Christ-centered education as a foundation for life. All students will be challenged to reach their potential academically, spiritually, and socially through collaboration of all stakeholders and students toward the goal of life-long learning. The mission statement in order to accomplish the vision is, “All stakeholders have an interest in our vision. All reasonable measures will be taken to provide the method, process, and procedures necessary to accomplish our vision. A system of evaluation and revision will be in place to assure that our vision remains at the center of our work. SCAN – To eliminate the abuse and neglect of children through family services, education, and community partnerships. Science Central – Provides stimulating family-oriented environments and community programs to inspire exploration of science, technology, engineering and math through dynamic “hands-on” participation. South Side High School Foundation – To attract, administer and distribute funds for the sole and exclusive benefit of the students and faculty of South Side High School, Fort Wayne, Indiana. Three Rivers Junction Playground – To financially support and enhance the community playground, Three Rivers Junction, and the surrounding grounds. Turnstone Center for Children and Adults with Disabilities – To enhance the lives of people with disabilities and their families. Turnstone educates, builds skills and advocates for persons with disabilities and their families to promote greater self-sufficiency, functional independence and emotional well-being. Vincent Village – Provides shelter, care, advocacy, affordable housing and supportive services for homeless families as these families build strength and strive to become independent, productive members of the community. Rooted in a belief in God, and under the direction of a diverse board, Vincent House seeks to affirm the dignity of life for all served. Visiting Nurse & Hospice Home – People are important to the last moment of their lives. Visiting Nurse & Hospice Home Inc. provides compassionate medical care and emotional and spiritual support to those entering the last stages their lives and to their loved ones who go on living. YMCA of Greater Fort Wayne – To put Christian principles into practice through programs that build healthy spirit, mind and body for all. YWCA Northeast Indiana – Is a women’s membership movement nourished by its roots in the Christian faith and sustained by the richness of many beliefs and values. Strengthened by diversity, the YWCA draws together members who strive to create opportunities for women’s growth, leadership, and power in order to attain a common vision: peace, justice, freedom and dignity for all people. The YWCA will thrust its collective power toward the elimination of racism wherever it exists and by any means necessary. YWCA/Hope House – Provides homeless, chemically dependent women with opportunities to pursue recovery and self-sufficiency in a healthy, supportive living environment.